i-Touch V16 Mark II is possibly the thinnest kiosk in the world - Future Generation Kiosk Products. 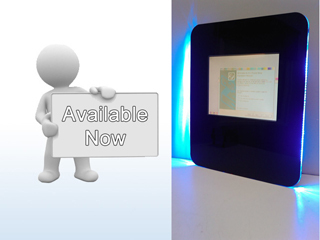 Now available is possibly the world’s thinnest kiosk. Measuring only 18mm deep, this wall mount unit will have many applications and will hang on the wall, protruding no more than a picture. Using cutting edge technology, the new v16 Mk II will be a world first. Please check back for pictures soon.